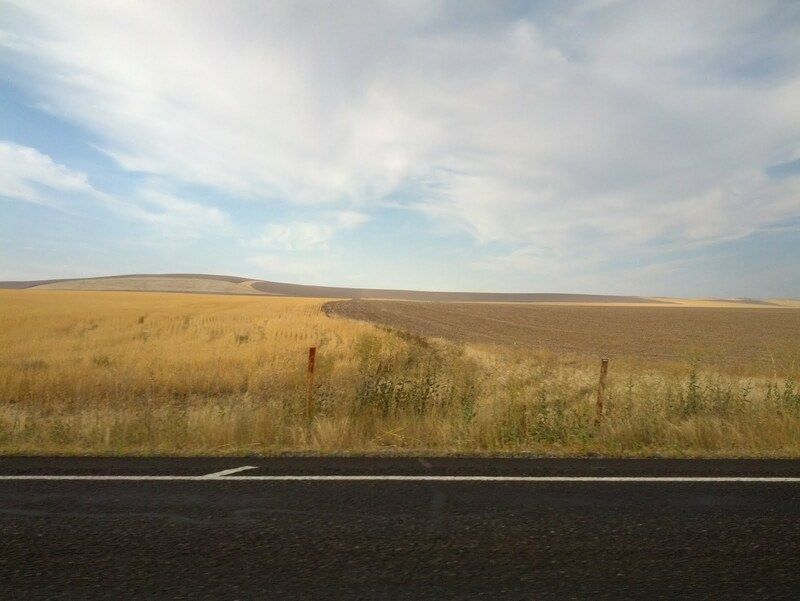 drivingmusic.net: A reminder that most of Washington state is brown and/or farmland. A reminder that most of Washington state is brown and/or farmland. I don't take a lot of photos, but I was proud of this one. Not bad for a nearly 5 year old phone. On the Washington side of the WA/OR border, on the east-west length of highway 221 before turning south toward Paterson and the Columbia river. I wanted to capture the stark lines between browns in the fields. A little success, I think. Edit: I'm on a never-ending quest to get me some of that Rhein II money. Someday. Labels: brown, I did a thing while doing another thing, photography, Washington, what are those - gas lines? Social worker. Prevention scientist. Occasional home-renovator. Aspiring train jumper. Music fan. Some goof. MSW, PhD, FWIW.